Disasters can happen any time. Hurricanes, earthquakes, wildfires, and more can lead to a sudden and desperate evacuation from a dangerous situation. Worse, during the chaos of a sudden disaster, pets are often terrified and hide right when their family is running out of time to get out. Sometimes that means pets – especially cats – may be left behind. Luckily there are specific steps you can take to ensure your beloved pet is ready for travel and provided for! 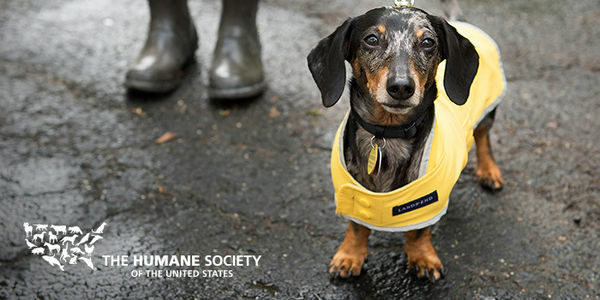 Pledge to the best of your ability to plan for your pet's safety during a disaster, and learn about some important steps you can take right now. I will plan for my pets' welfare in case of a disaster! I pledge to create a disaster kit for my pet that includes food and water for five days, as well as vital medications and medical records, in a waterproof container. I will ensure that safe carriers are readily available to transport my pet to safety, as well as sturdy leashes and harnesses. I will keep current photos of my pet with me, as well as descriptions, my phone number, and my vet's name and number, in case we're separated. I will research options for help with shelter, boarding, and care in case of an emergency. If there is news of an imminent disaster in my area, I pledge to follow the news closely, and evacuate early so that I can get my family and my pets to safety. I will not leave at the last minute, because that is how pets are often lost. I pledge to the best of my ability to be ready.